There are many digital currencies traded every day on exchanges between buyers and sellers across the globe. Of course, bitcoin is the most actively traded of these currencies with nearly 70% of the digital currency transactions daily involving bitcoin. Over the last year (March 2015 to March 2016), the price of bitcoin has gone from around $250 to a current level at $435. These numbers make it clear that bitcoin is not only making money for investors but that it's also the king of all digital currencies. Many people may also be surprised that there are even other digital currencies besides bitcoin that people can invest in and/or transact with. The reality is that according to Wikipedia, "There were more than 669 cryptocurrencies available for trade in online markets as of 24 August 2015 and more than 740 in total but only 8 of them had market capitalizations over $10 million." And there are more being created almost every day! As I mentioned, Bitcoin is responsible for nearly 70% of this market. Obviously, no one comes close to that number but the number two digital currency may not be close, but it's clearly begun to separate itself from the others. At nearly, 17% of the digital currency market is Ethereum. Impressively, since it began trading in September of 2015 at below $1, it has been trading over $6 recently. These numbers would make anyone who's unfamiliar with it, to wonder what's the deal with Ethereum? Ethereum was actually created as a "close relative" to Bitcoin and its family tree has many of the same players as Bitcoin. A nineteen-year-old Russian-born Canadian named Vitalik Buterin was a founding editor of Bitcoin Magazine and had been an active member of the Bitcoin community. He helped to develop many aspects within the cryptocurrency community. Just as Bitcoin was begun by a white paper from Satoshi, Buterin began circulating a white paper that laid out his plans for creating a "bitcoin-like" network that would include coding tools to allow developers to do what they'd like with it. The tools that would be available and built in this new platform would allow for transactions to be based in the currency of "Ethers". In the white paper, he calls his creation, "the Lego of cryptofinance." The platform soon caught on for its capabilities to utilize its blockchain structure for numerous applications including its ability to implement contracts and agreements. This includes interest as wide-ranging as the creation of a cryptography-created legislation toolbox by BitCongress to developers who posted a Youtube video on how to use the technology for wedding contracts. The technology is continuing to make itself as open as possible and allow for its use by developers, companies and even potentially, governments that will expand it as well as the visibility, and potentially, the value of Ethers. One of the unique aspects of Ethereum is its status as a non-profit entity, which has allowed it to structure itself in a more formal manner that Bitcoin has. This has provided a more direct way that individuals and companies can work with the technology, including the implementation of the Ethereum Frontier, which provides developers with tools and ideas on how to use the technology. 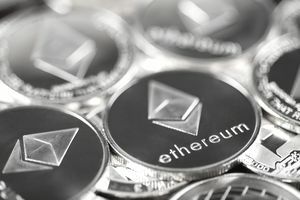 The rise in price and visibility of Ethereum is leading to a technology that perhaps even Bitcoin can learn from.